At the core of Prentiss Balance Wickline Architects is the pursuit of balance: between natural and built environments, between a client’s vision and real world parameters, between beauty and utility. We offer a rich, broad practice, offering a highly personalized experience that our firm has come to be known for. We are proud of our expansive knowledge base and network which enables us to bring new insights and better solutions to our clients and the world of design. We are a passionate, collaborative, and highly attentive group. Our attention to you, our client, is paramount throughout the design and construction process. Beginning with one-on-one meetings and a tried-and-true proprietary questionnaire to help you articulate your goals, we develop a plan to bring your vision to life. Utilizing long-cultivated relationships with highly skilled contractors or helping you to find the perfect fit, we dive into the construction phase while keeping you well informed. Consistent communication between client, architect, and contractor culminates in a meticulously developed project that typically surpasses expectations in terms of both the overall process and the outcome. Because we love what we do, we want you to love it, too. 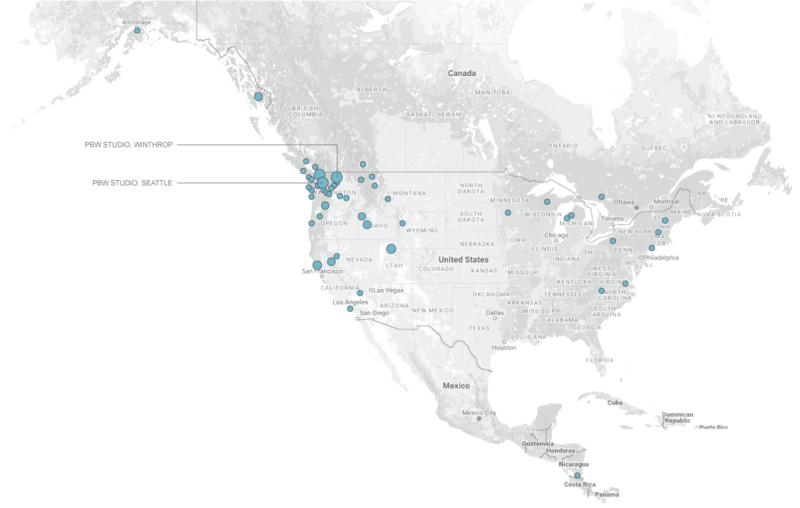 While our epicenter remains in the Pacific Northwest, our work can be found throughout the country, identified by a pattern of practices and perspectives that represent our approach and quality. Natural light is wisely engaged to define, illuminate, and enhance space. Challenging terrain, from rocky shore to urban roost, to mountain slope, is gauged and expressed to its fullest potential. With such diverse expertise, we are confident we can uncover the hidden possibilities of your site and overcome any challenges— no matter how insurmountable they may seem. Contact us, and let’s discuss your project!